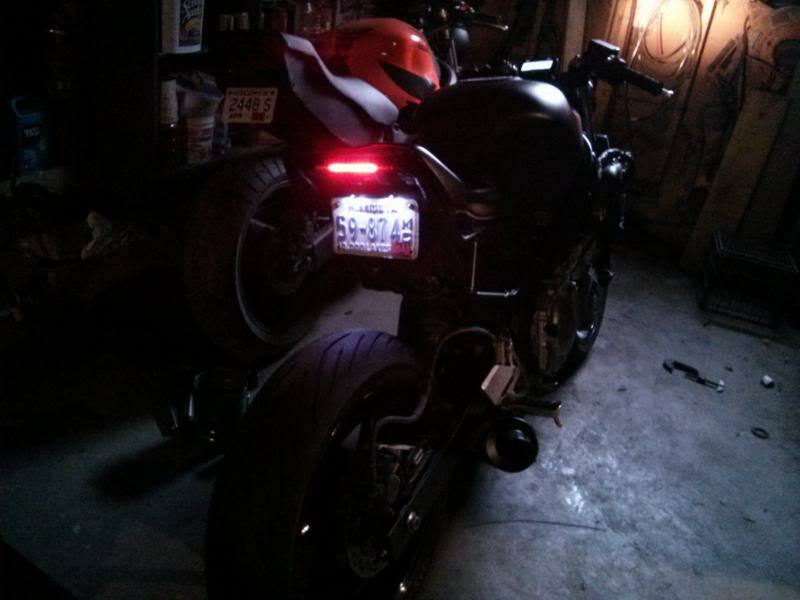 hey im new to motorcycles and this forum. this is the first street bike i owned but i been riding dirtbikes for over ten years now. 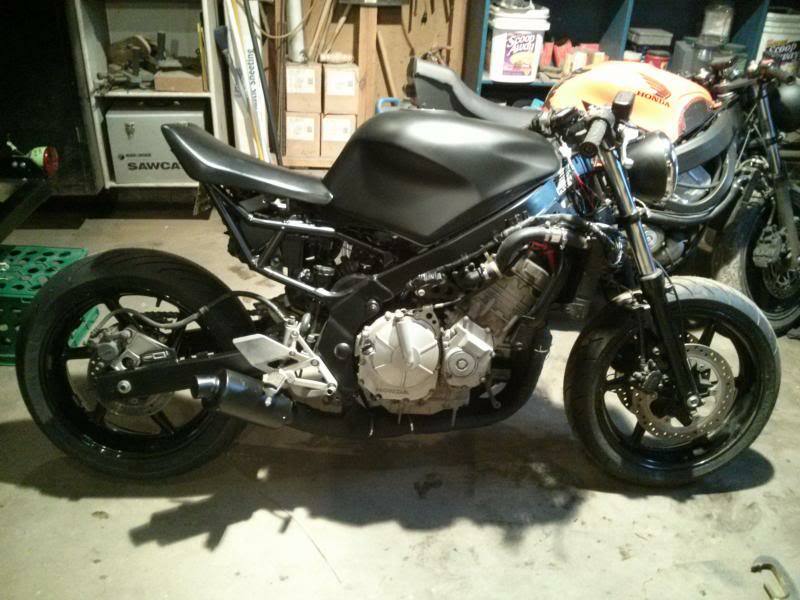 i had to buy a bike after helping my friend build his f4 streetfighter. i come from the world of drag racing and i have a twin turbo ls1 s10 i built myself so fabrication isnt new to me so i wasnt really afraid to dive into these bikes. i didnt know anything about cbr's before this all started. 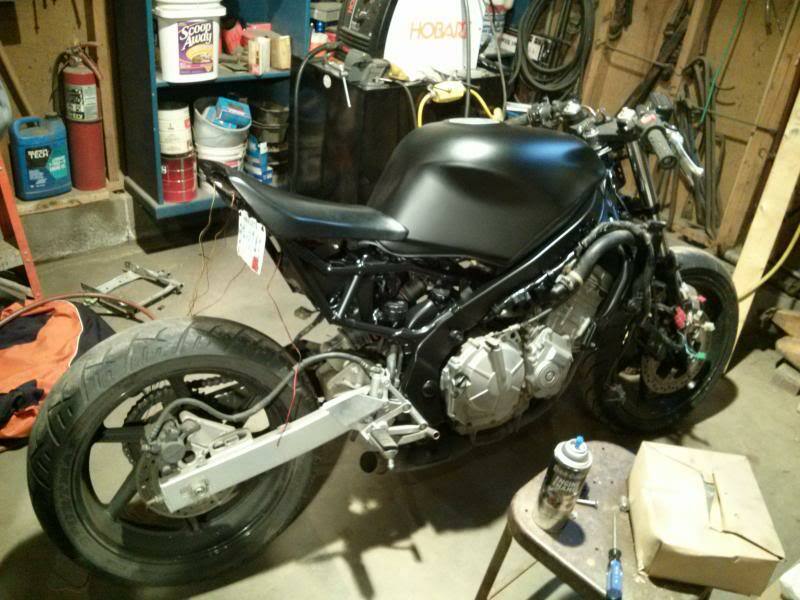 i have learned a ton in the process of building two bikes and wasnt affraid to wing things and start taking things apart. heres my friends cbr we built in a few weekends. anyway, my bike is a 93 cbr 600 f2. 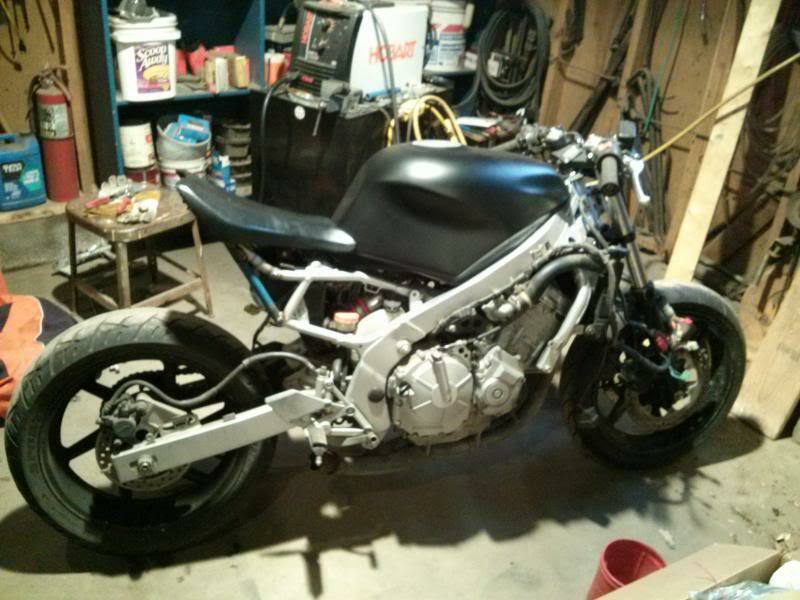 i picked this bike up for $1500 and it ran ok but the fairings were junk. i did not care because i was taking them all off anyway. 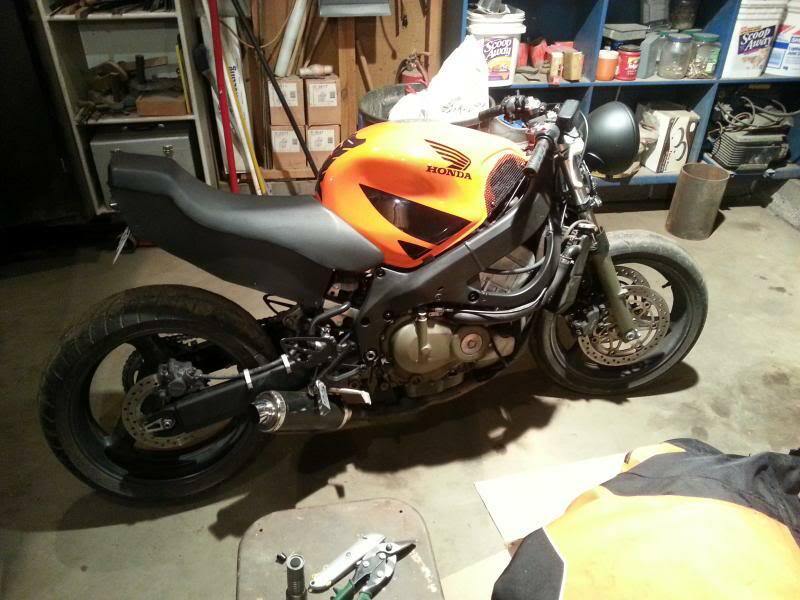 this isnt the actual image of my bike, but it looked exactly like this same color and everything when i first got it. instantly started ripping things apart and getting to work. it backfired on de accel and was running a little rough so i figured i would go through all the maintenance on the bike to make it run like new again. i busted *** to finish this and built the whole thing within two weekends so i didnt get too many pics but here you go. and thats all i got for now. once i get it inspected and registered next week ill have much better pictures and more videos. its snowing like crazy right now so i cant even ride it yet. 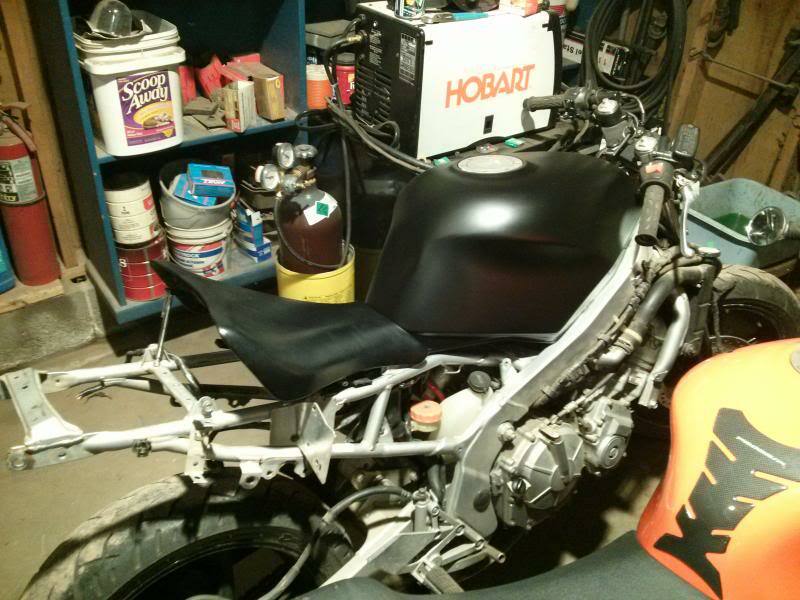 it runs very good now and it was a fun learning experience and i cant wait to go riding. right on man, that thing looks great. nice choice of seat. that looks extremely similar to mine! 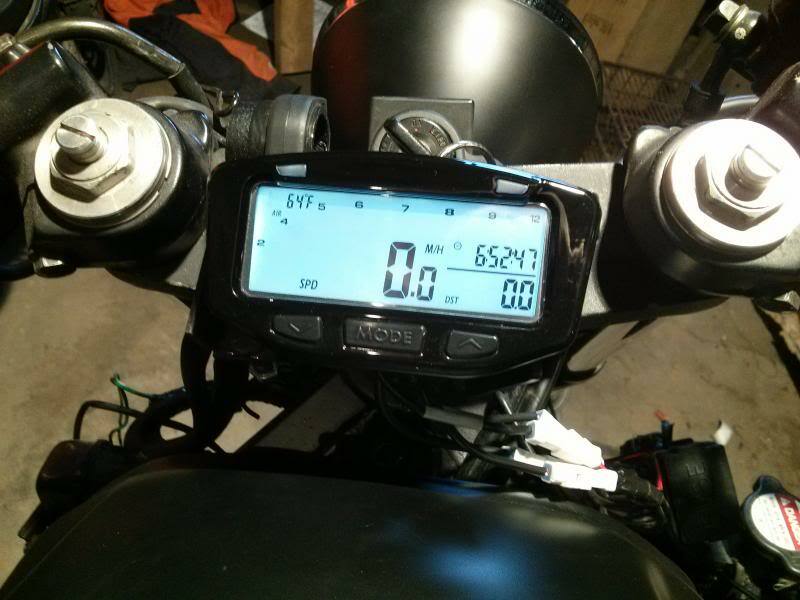 Haha thats funny you posted this because i basically based this entire bike off of your build thread. I saved pictures of your bike and tried replicating it the best i could because i loved the way you did the chopped tail with the 1000rr seat and i love the taillight you have. Your bike has been the main motivation and by far the most inspirational for me. To be honest if my friend never showed me your bike mine wouldnt look nearly as good.